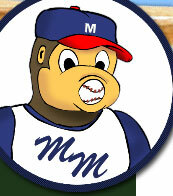 But wait a minute, I'm still on a baseball kick. 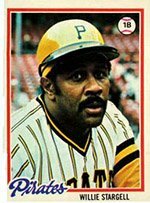 While I'm at it...what about Pittsburgh Pirate legend hall-of-fame slugger Willie Stargell and former comic actor turned preacher Demond Wilson of the immensely popular Sanford & Son. In the Misakman library will you not only find 'Pops: The Willie Stargell Story" but also 'Second Banana' by Demond Wilson which he describes as 'A Bitter Sweet Memoir of the Sanford & Son Years' so figures I finally put this one together. I still say Willie shoulda probably received the MVP in'73 but Pete Rose got it though he did have an awesome year too. I think when Pops won the co-MVP later in '79 (with Keith Hernandez of the Cardinals) there was the element of giveback there from the writers who might've felt they owed it to him. He provided great leadership that year as the Bucs became World Champs but his stats weren't even close to the monster '73 year. For the record it's the BBWAA (the Baseball Writer's Association of America) that does the voting. 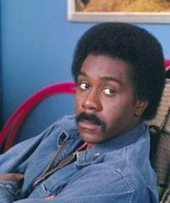 After playing the straight man to Redd Foxx so expertly for so many years as Lamont, Desmond Wilson popped up on a few other series that didn't run as long but I still liked...Baby I'm Back and The New Odd Couple...so what can you say, I guess I was a big fan. So if you were around in the late '70s or early '80s then it just might be because of YOU! my fickle friend who didn't tune in that those later shows didn't continue. But that wasn't as traumatizing as when I couldn't find the Wacky Races cartoon on TV one Saturday morning in the early '70s. What misguided foolish TV programming exec decided this? What kid could not be watching this awesomeness and maybe helped let the ratings slip or something? If you fall into either class then steer clear of me. I am still nursing a grudge.